With all the options available out there, you should have no trouble creating a one-of-a-kind DIY grill island that’ll make you the envy of the neighborhood — and the hottest dinner ticket in town. Use cast-concrete blocks and a stone countertop to create your own outdoor kitchen. 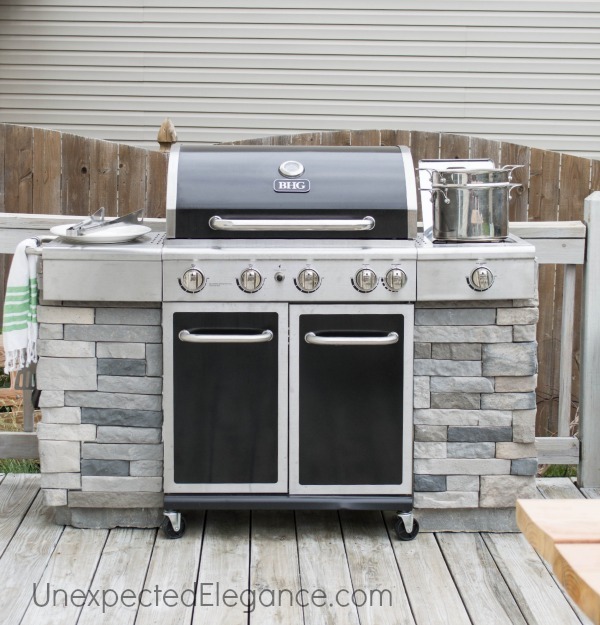 Plans for a DIY outdoor kitchen can be found online, but this set of instructions clearly displays the steps and should make the process easier. This one is a moderate job that should take about a few days and set you back about $1,000 (not including the grill and other fixtures), depending on which type of stone you select. A quick internet search should help you locate a local raw materials supplier. A local contractor or builder will be able to point you in the right direction, as well. Motivate your friends to help out with the build by using the promise of a celebratory steak dinner once the job is finished. If one grill is good, then two must be awesome. Using these basic instructions and altering to allow for the installation of your favorite smoker, this island can hold both a grill and smoker station for the true barbecue enthusiast. 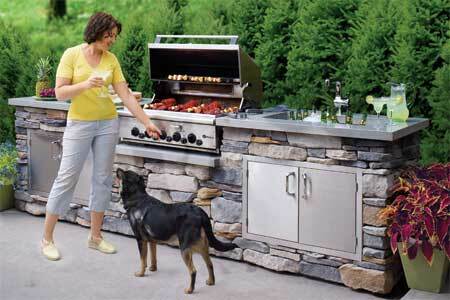 Surrounding the grill and smoker with brick gives your island a solid look that will last through any weather. You can use the same brick and mortar laying instructions from the Stone Island example above. Instead of being separated from guests while you’re grilling, make the chore part of the fun. A built-in tabletop grill allows every guest to cook their own meal while enjoying each other’s company. If your company has a lot of dietary restrictions, this grill gives everyone the option to make their food just how they like it. 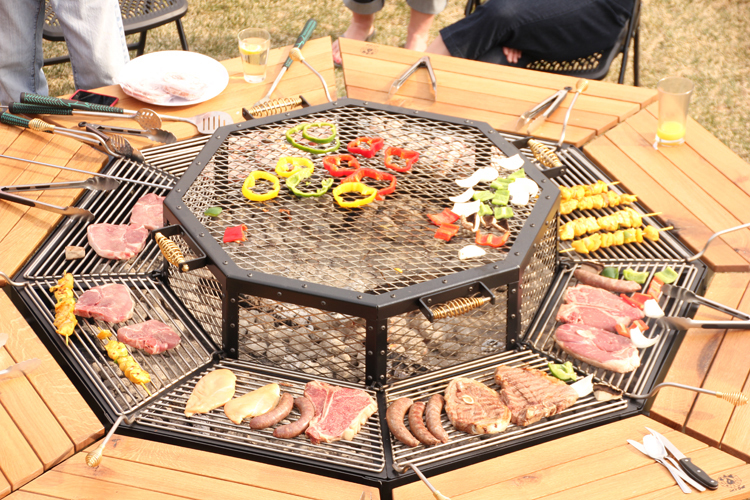 Use a round picnic table as the base and cut out space for the charcoal grill to sit. How about a grill, smoker and outdoor pizza oven combo? Yes, please! This DIY grill project allows grill masters to cook nearly every style of food your guests could possibly crave. You could ideally create the most perfect pizza topped with your favorite grilled veggies and smoked meats. Though this build is not for the faint of heart, this outdoor kitchen is guaranteed to make your house the talk of the block. Just be prepared to set aside several weekends to finish the job.